Hazelnuts, or Filberts as they are also known as they get harvested around the 22nd August each year, St. Philbert’s day, were known in China over 5000 years ago. It is believed that hazelnut trees were then transported to the Black Sea in Northern Turkey and were also gathered by the Romans. Today , Turkey is the largest producer of Hazelnuts and Italy the second largest. In the US, they are known as cobnuts or hazels. Legend has it that a Frenchman, David Gernot arrived to Oregon in the 17th Century with European hazel trees where he planted the first trees in the Willamette valley which reminded him of his home in the Loire Valley. 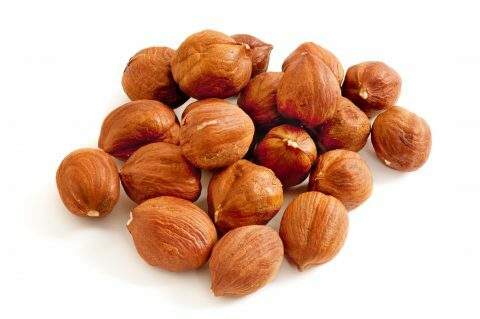 Hazelnuts are rich in betasitosterol, calcium, magnesium, phosphorus and Vitamin E.